No matter the time of year, outfit inspiration is always necessary, so I simply adore pinning/reblogging/ on a daily base since there are too many amazing images. And what do I do when I really like an outfit? I get inspired and recreate my own version. 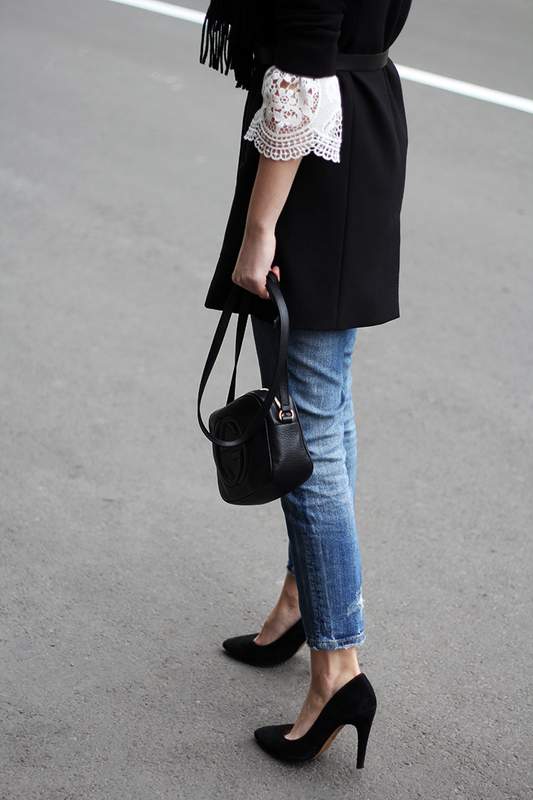 You probably know this gorgeous look very well, so I decided to choose lace blouse instead of the dress and I paired it with cropped jeans and good old black heels. p.s. let's meet on: Tumblr and Pinterest!